Hi everyone and welcome back to The Scoop! 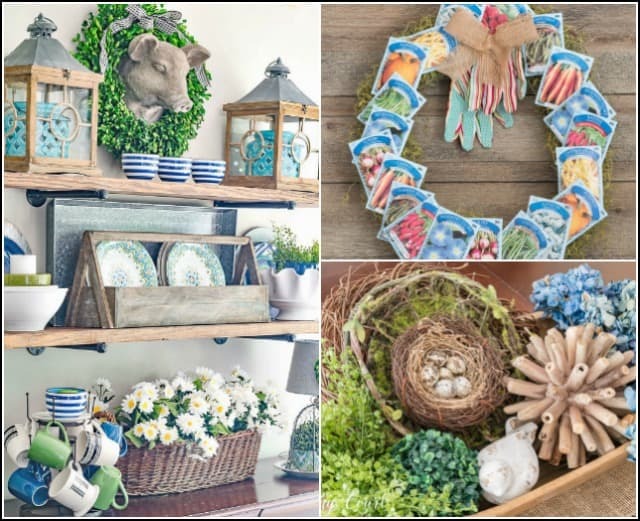 Some unusually warm weather here in Georgia has me thinking of spring so I am sharing SEVEN WAYS TO ADD SPRING TO YOUR DOOR, including my favorite DIY tulip wreath! Now I can't wait to see what you are sharing so let's get started! 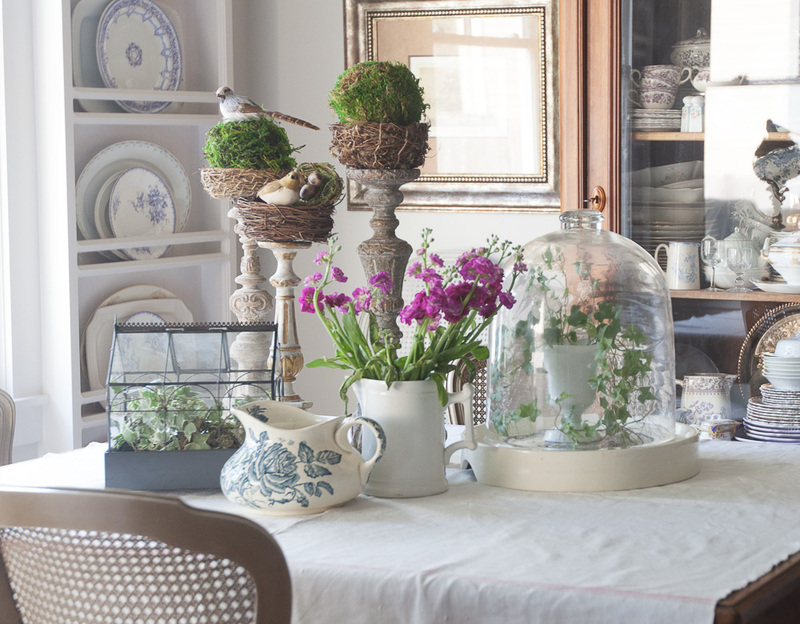 Do you have a cloche? 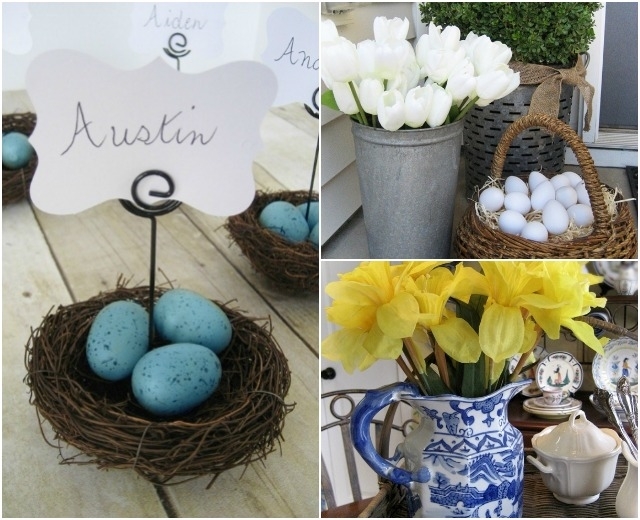 It's perfect for adding spring touches to your home. 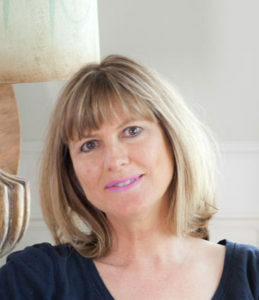 Don't miss my tips for what to put in your cloche. 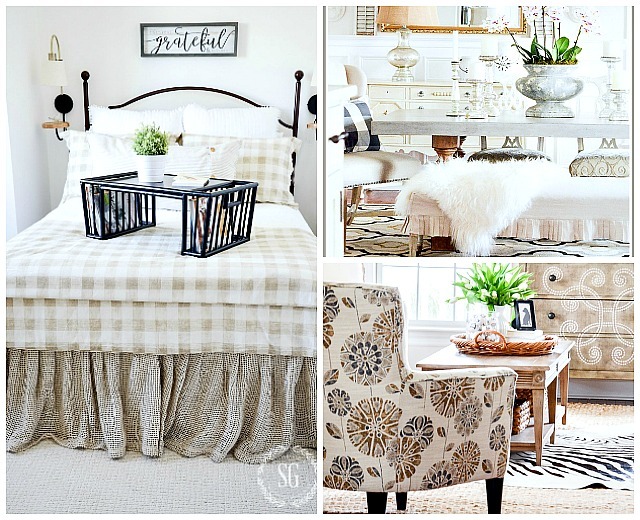 I'm also sharing my favorite sources for spring decor (with great prices) in the post. They are all from Amazon, and most have free shipping! HERE. Do you listen to our podcast? This episode from last week was super popular! 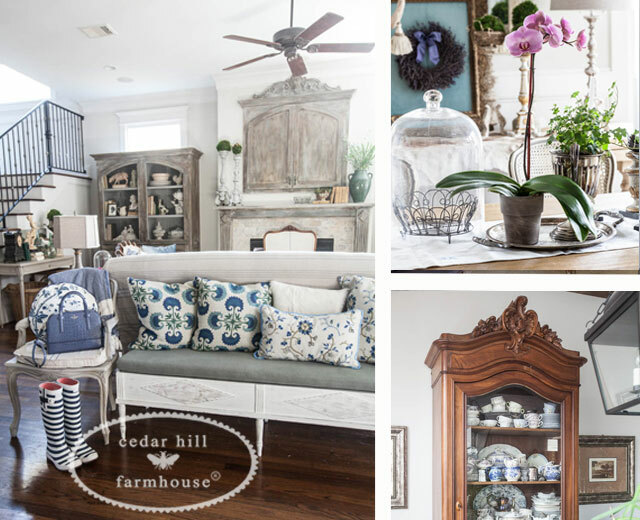 It's all about adding blue and white to your home. 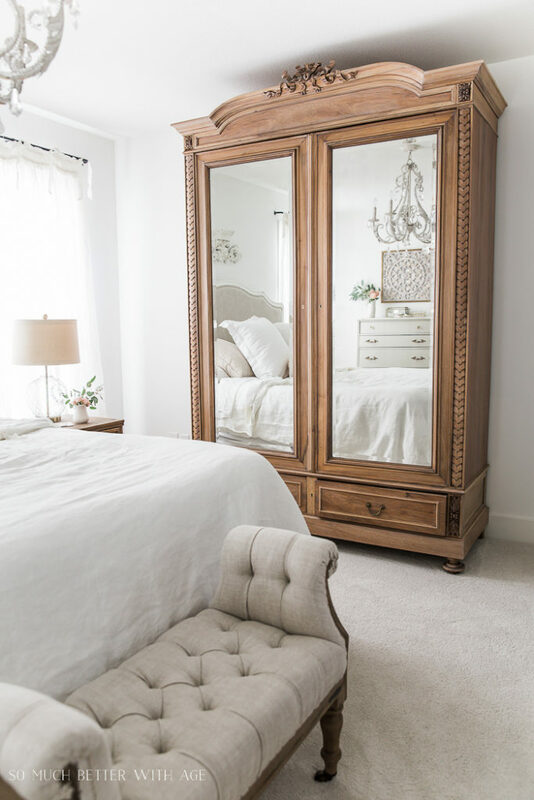 So Much Better with Age shared this gorgeous piece that she refinished. 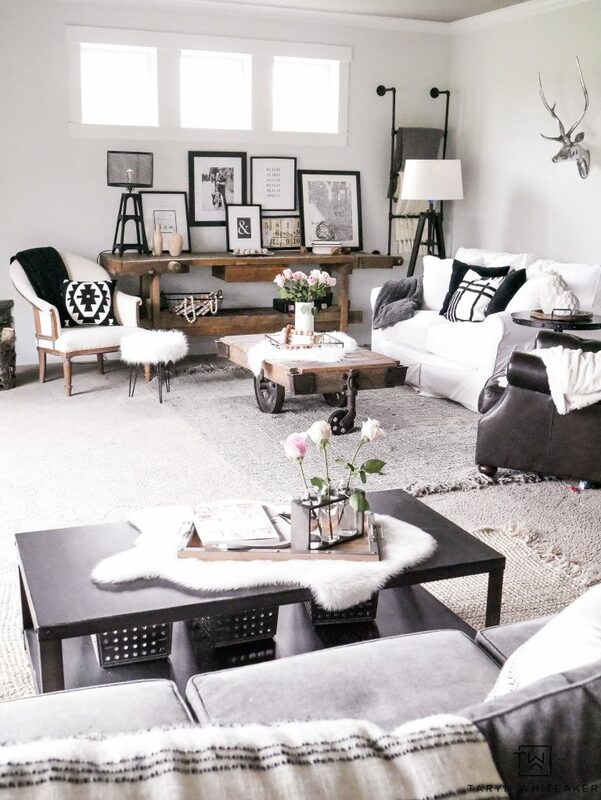 Taryn Whiteaker shares her living room paint refresh. 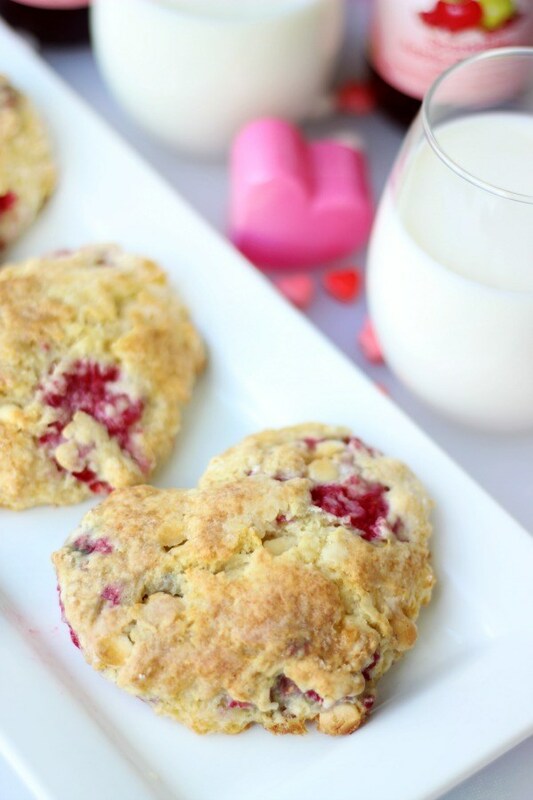 Gluesticks shared these delicious-looking raspberry scones. 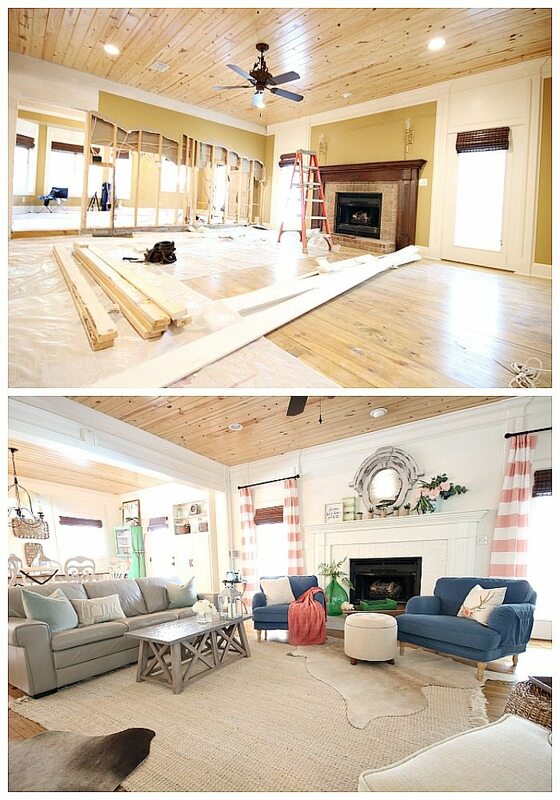 Refresh Restyle shared her gorgeous open concept living room furniture layout. Lovely features! Have a great week! Thank you for the party, Debbie!